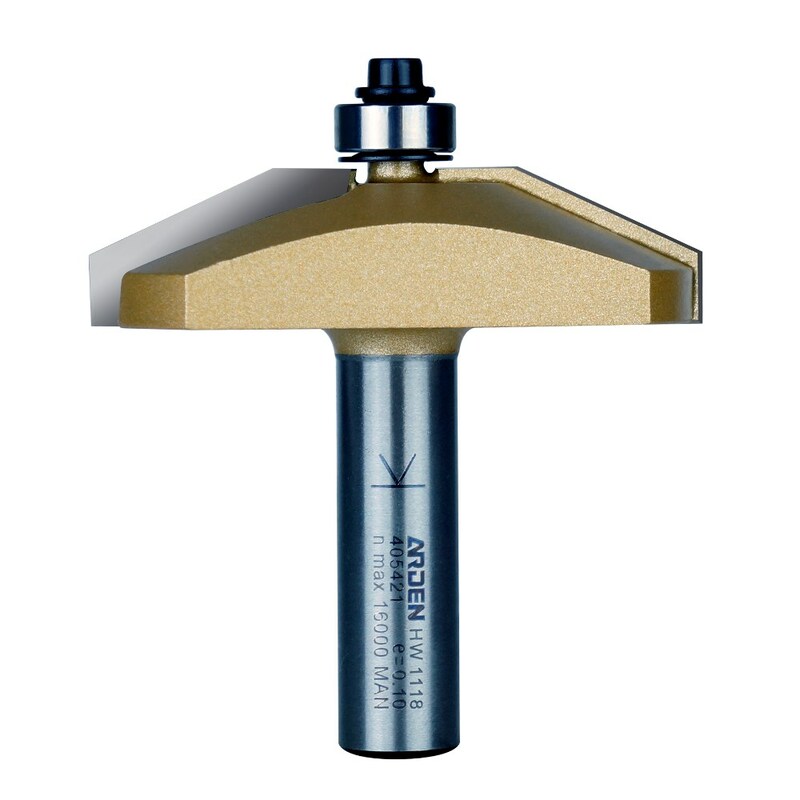 A Raised Panel bit with a 25° chamfer angle. Used to create the panel component of a traditional style cabinet door in conjunction with Rail and Stile bits. These profiles need to be run at a much slower speed than other router bits due to their large diameter. Designed to be used ONLY in a router table.